Tania Evans has been awarded gold and platinum several times throughout her career. She became world famous with her 1993 smash hit “Mr. Vain.” The phenomenal track stayed in the German charts for 33 weeks, and topped the charts for 9 of those weeks. This hit not only shot to the TOP20 in the USA, but it also led to the prestigious RSH Gold Award (in 2 categories) and other awards such as Echo and Bravo as well as an award from the USA’s Winter Music Dance Conference. Tania’s extraordinary voice also led to her collaboration on numerous albums by other prominent artists. After leaving Culture Beat in 1997, she wrote and released “Prisoner Of Love (La-Da-Di)” the same year, accompanied by a breathtaking video available on MTV. 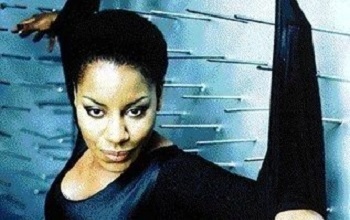 Tania appeared in England in such famous places as, for example, London’s Jazz Café, the Brixton Academy, Fairfield Hall (where she played Aretha Franklin in “The Black Hall of Fame”), alongside stars like Neneh Cherry, Nick Berry, The James Taylor Quartet, and Philadelphia Bluntz. One of the highlights in Tania’s career was opening four Michael Jackson shows on the Dangerous Tour.